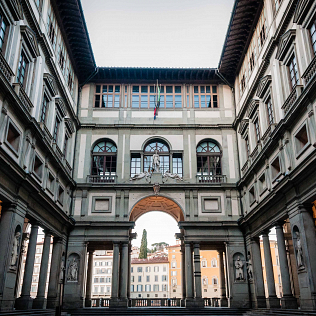 From June 26th to July 19th, the Uffizi Square will host an outdoor cinema. Viewers will be able to watch the film near the statues of the great Tuscans present in Vasari\'s loggia. The festival is called Apriti Cinema. The shows will be free and the seats are 285. The big screen will turn its back to the river Arno. Movies will be screened in their original language, with Italian or English subtitles. Many movies will be selected by those present at the great Florentine film festivals such as Festival dei Popoli, Schermo dell\'Arte, Middle East, Cinema e Donne, River To River, Florence Queer Festival, Korea Film Fest, Nice, Festival etnomusicale, Premio Fiesole Maestri del Cinema, Balkan Florence Express, Finestra sul nord, Dragon Film Festival. Some special events are also scheduled. For example, on July 1st, the restored version of Sunrise: A Song for two Humans by Friedrich Wilhelm Murnau will be screened, with the soundtrack performed live.